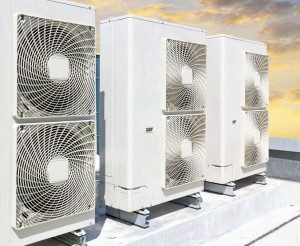 Four Myths about HVAC Service | Robert B. Payne, Inc. Heating and cooling systems can be confusing for many homeowners. Every time you think you know something, new information appears. Plenty of heating and cooling myths exist that homeowners may never have heard of. If you need a Fredericksburg heating expert, Robert B. Payne, Inc. is one of the best in the business, and offers the following information on heating and cooling myths. Just because your system is working fine now does not mean that there is not an underlying issue going on with it. Only a qualified technician can truly tell you whether your system is working properly or not. If you have a preventative maintenance inspection on your system, it will help ensure the system lasts as long as possible. Warranties for new construction will only cover any defects during the installation process or the materials used to make the unit. For example, such tasks as changing your air filter, inspections, changing of the fan belt, and lubrication are your own responsibility. If you choose to wait until your warranty period is almost up, you could end up with a costly repair bill. In reality, the contracts are a lot less expensive than what you realize. When you think about the amount of discomfort you will go through with a broken system and the length of time your system is out of commission, it’s easy to see how much money you will save on a maintenance agreement. The truth is your equipment is quite costly to operate. Around half of your energy bill is from your HVAC system. To reduce your costs, you will need to do a few modifications to maximize your savings. Talk to one of our specialists if you have questions. When it comes to HVAC service and repair, enlist the help of our team at Robert B. Payne, Inc. to answer any questions you may have about your system. Reach out to us by calling (540) 373-5876 to see what we can do to help transform your system and save you money.